Switch your menu back to front and give your canapés a saccharine touch. These 7 sweet finger-foods give savoury snacks a run for their money, and would keep sweet-toothed wedding guests on a sugar high throughout the festivities. 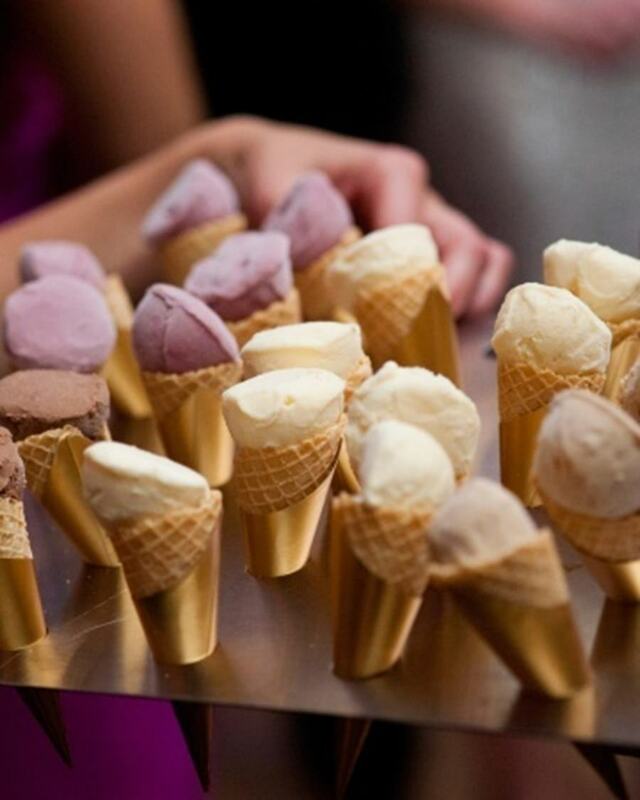 Take guests back to childhood memories of desperately chasing the ice-cream van with these elegant cones topped with favourite flavours. Colourful and tasty – and this time, the van won't drive off. Hopefully. Another concoction that'll bring up fond childhood recollections, milk and cookies have proven a classic pairing to rival cheese and crackers, fish and chips, and Simon and Garfunkel. 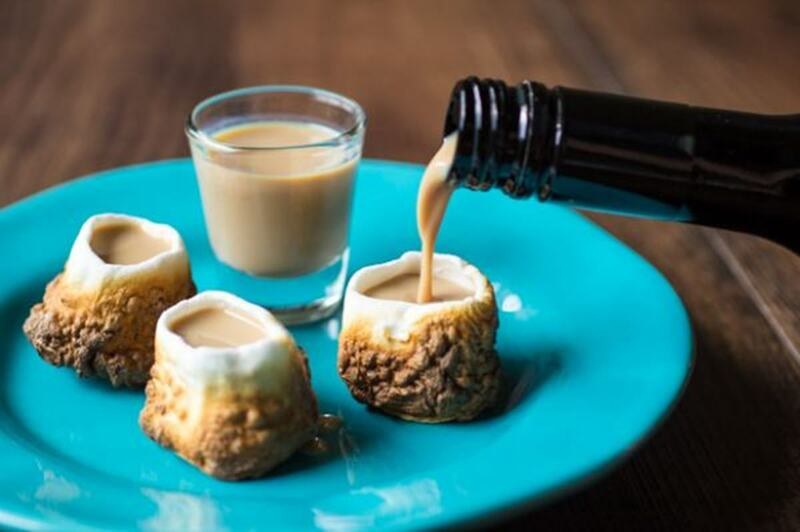 For a more grown-up combo, pair these hollow toasted marshmallows with a shot of Bailey's for a warm, sweet kick – perfect for wintry weddings. Watch a video on how to prepare them here. Fruit is one of the few foodstuffs that can be enjoyed frozen (we recommend you don't try this with frozen chicken thighs, for example). 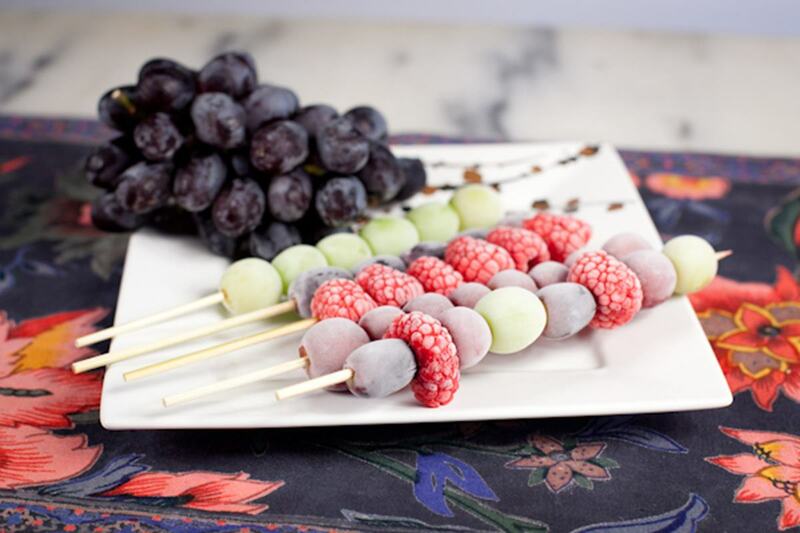 Combine your favourite frozen fruits on a handy skewer for a refreshing, ice-lolly-like experience. 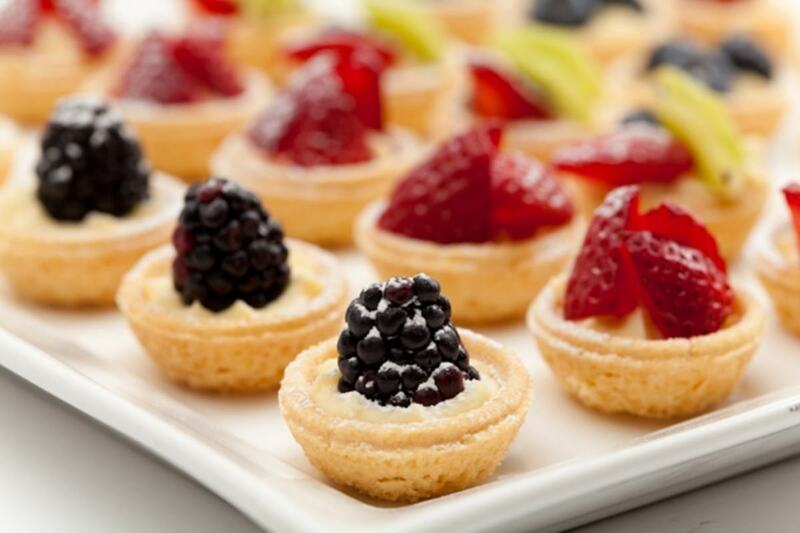 Indulge in these exquisite mini fruit tarts, adaptable to your preferred type. Here's the recipe for a wide range of these beautifully crafted pastries. Now for a dessert that can be placed delicately upon spoons. 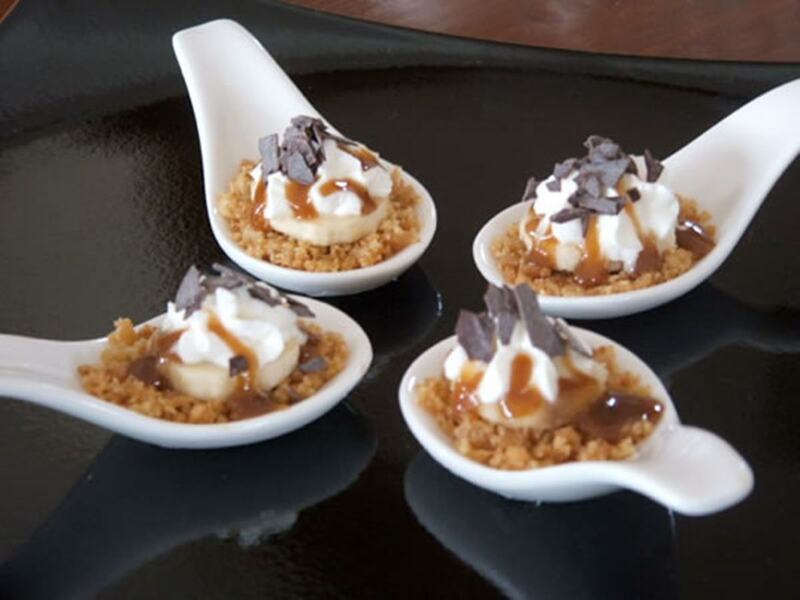 Case in point, these banoffee canapés, a vintage example of comfort food crafted into sophisticated wedding bites. 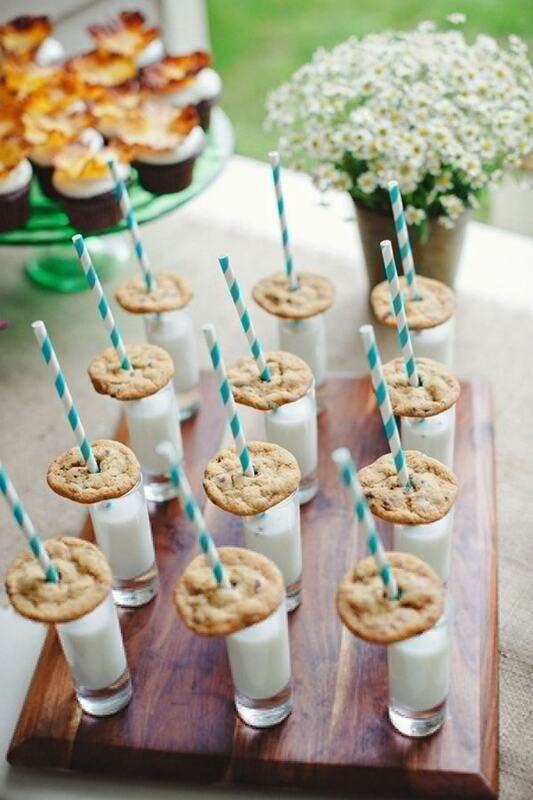 We've seen canapés served on spoons, skewers and in marshmallows, so we wouldn't want glasses to feel left out. 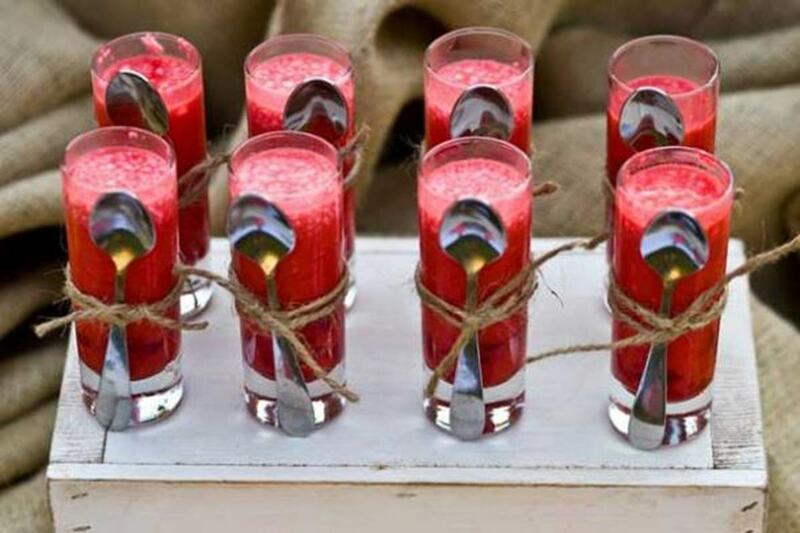 Tailor these jellies to your own favourite flavours; the spoon-on-a-string is a nice, arty touch. Marvel at the easiness of the recipe here. To find an awesome venue for your event, check out hirespace.com.